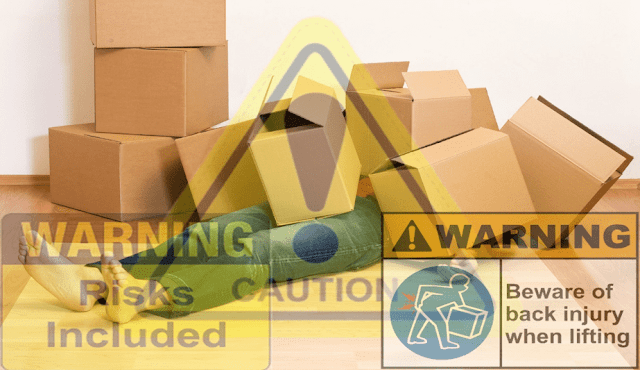 Hassle and Risks while Plan to Pack and Move Goods by Your Own. Once in your lifetime, you will most probably encounter a situation where you need to move to a different home. Moving can be between areas within the city or it can between cities. People tend to think that moving is simple and it involves packing your stuff and moving to the desired location. But the truth is, the process of moving is full of hassles regardless of where you are moving to. It is not uncommon for people to decide to move by themselves without the help of a professional packing and moving company. People may be forced to move by themselves because of a lack of financial support or it just could be simply that they are looking to save money. Time is a very valuable resource and you will be wasting your time if you decide to pack and move by yourself. Think about all the items that you own from electronics, machinery, furniture, crockery and what not. All these items have different weights and sizes. Obviously, it will be harder to pack larger items because of their size and weight. An item that is harder to pack will substantially take more time. And considering the countless number of things that you probably own, it would take days if not weeks to pack all the stuff. Even if you manage to get all of your things packed, the next step would be to arrange a suitable transport vehicle that can help you carry your things to your new house. You will also need to carry all the stuff you have packed onto the vehicle and keep in mind that the packed stuff also includes all the heavy items you own. Likewise, you would need to unload all your stuff from the vehicle to your new house and begin unpacking it which likely took your weeks to pack it. Packing is an important aspect of moving which needs to be done correctly to avoid damage to your property. Bear in mind that different types of objects require different types of packaging material. You will need proper knowledge of not only what packaging material you will require and but will also need to know about how to pack it as well. Improper packaging could cause damage to your property. Transporting items that are large such as furniture and heavy machinery will require proper transport vehicles. Professional movers have the appropriate equipment and vehicles to get this done. If you decide to use your own personal vehicle to transport your belongings, then it could cause damage to both your vehicle and your belongings. This will result in you financially covering for the damage. The process of moving will require you to load and unload your belongings a countless number of times. You or others that are helping you may be at risk during this process. For example, using the inappropriate carrying techniques can lead to things falling and injuries as a result. Therefore, it is much wiser to hire professional movers who are good at this rather than the risk of possibly injuring yourself and others around you. If you think that packing and moving by yourself will help you save money then that's where you are mistaken. On the contrary, it would cost you more money than you think. Think about the packaging material that you would need to buy, the cost of hiring a transport vehicle and paying for fuel, and other stuff that you may need during the moving process. If you think that professional moving and packing companies will cost you a fortune then you are wrong. You would be surprised at how companies like Cloud Movers and Packers Bangalore offer the best quality packing and moving services at a low cost. So, think twice before you consider moving by yourself just to save some money.